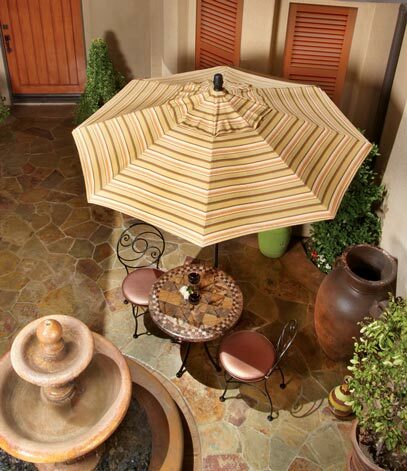 Since 1984, Treasure Garden, Inc. has manufactured custom aluminum and wood umbrellas. 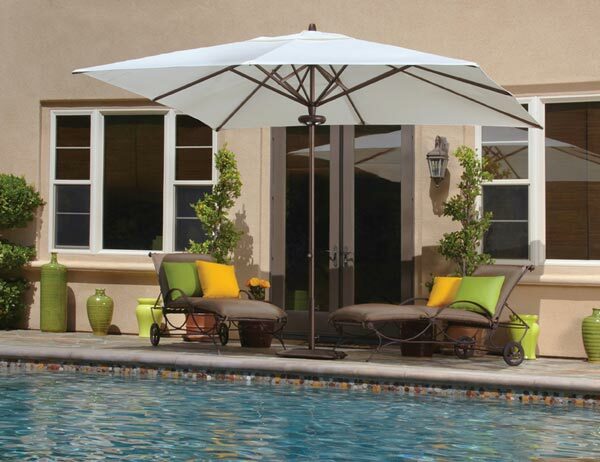 They are dedicated to providing their customers with innovative quality shade products that are distinctive, yet functional. Their experience, knowledge and passion separate them from their competition. As the worlds largest shade products manufacturer Treasure Garden strives to provide the widest and most innovative shade solutions in the world. To become the industry leader they have maintained a business philosophy based on innovation, quality, and value. 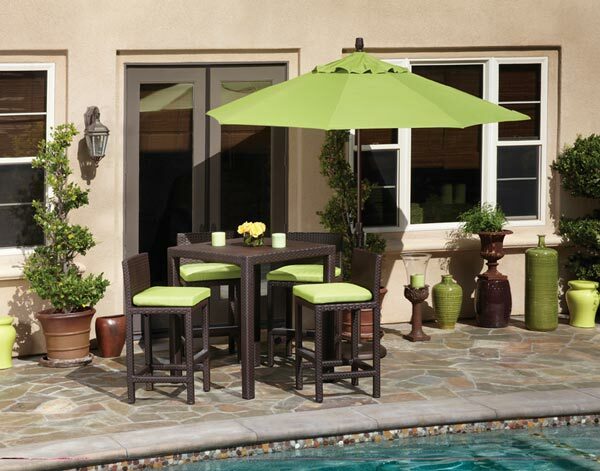 This innovation and focus on high quality materials will allow you to find the right umbrella for your backyard and patio living space. They have made many industry advances, such as the Deluxe Collar Tilt Series, the first aluminum market umbrella to offer infinite-tilt positions simply by turning the collar above the crank handle. 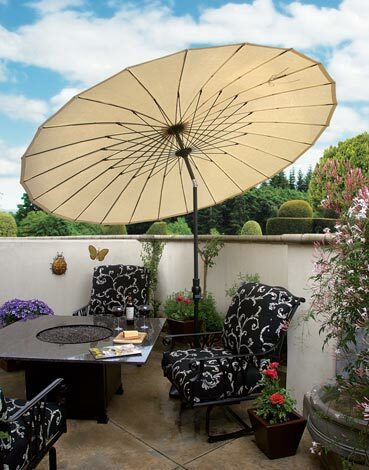 The Cantilever Umbrella Collection engineered with a side pole versus a center pole, for greater versatility in shading multiple seating areas, and uses their patented tilt-and-lock system. And of course, the innovative Easy Track Collection, which offers a smooth, one-finger operation to open the umbrellas without cords, cranks, or pulleys. Treasure Garden understands that it’s all in the details. From materials to processes and workmanship, Treasure Garden does it all. Contact us today via our online form below or stop by one of our stores to learn more about the options that are available via Treasure Garden's shade solutions. 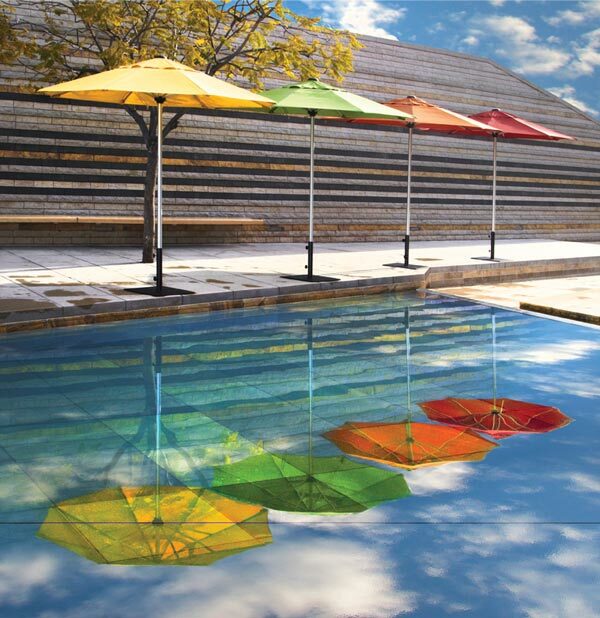 Treasure Garden umbrellas are manufactured using only the highest purity aluminum. They only use 100% Solution dyed fabrics from companies like Sunbrella, O’bravia, and Solefin. They manufacture 90% of the components used in their products from their raw state. Their Hardwood poles are crafted of FSC – certified from well-managed forests. Unlike other manufacturers, they are a totally “Vertical Operation”. Totally vertical operation ensures a more balanced work-flow and gives Treasure Garden the flexibility to respond quickly to market demands and much greater control over product quality.